Every Friday Night Purple Moon Party !! 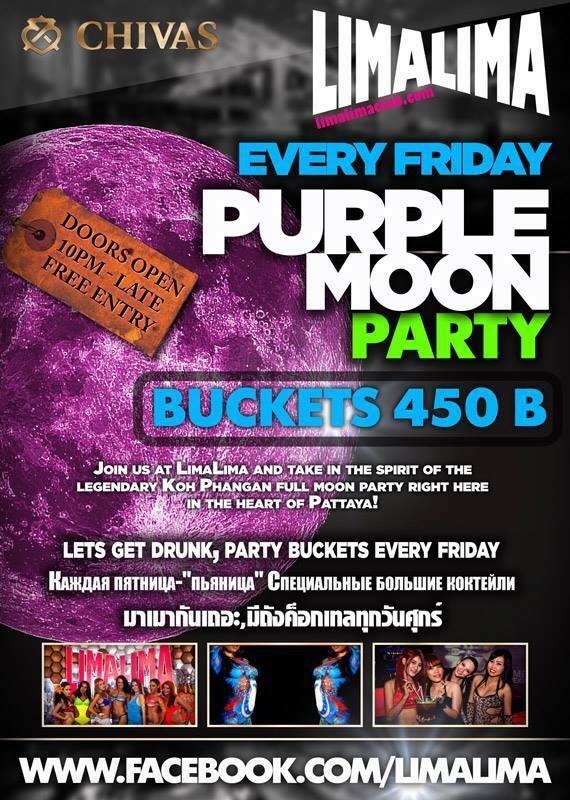 Every Friday Night Purple Moon Party at LimaLima Walking Street Pattaya. Door open from 10.00pm till late…Enjoy our promotions Johnnie walker Red lable 790 baht only ( 3 Mixers & Ice included…Don’t miss the party people..It’s gonna be FUN!!!! !